*Expires at 11:59 P.M. PST on 4/22/2019. Receive a free 5-piece gift with any $100 order. Use code EARTH19. Exclusions apply. 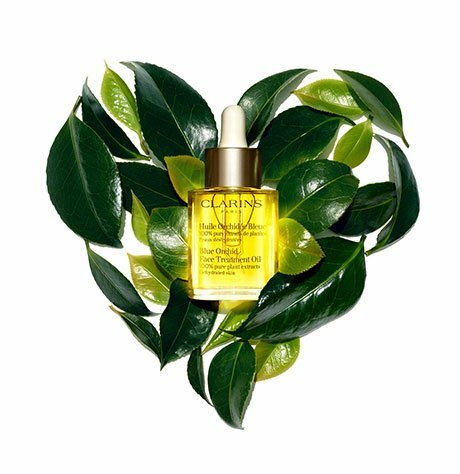 Offers exclusive to Clarins.com and may not be combinable with other offers. Free shipping valid on all orders over $75 shipped via Economy shipping. All offers are 1 gift per customer, unless otherwise noted, and while supplies last. Members must be signed in to receive any offers involving points. We reserve the right to substitute samples in the event a sample goes out of stock. Offers available to US residents only. We reserve the right to cancel any order due to unauthorized use of offer and to modify or cancel this promotion due to technical error or unforeseen problems. We reserve the right to substitute any free item offered with an item of equal or greater value. 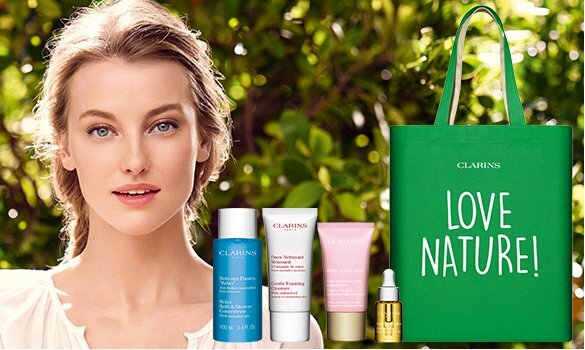 Promotional offers and discounts may not be applied to the purchase of Clarinsca.com e-Gift Certificates. 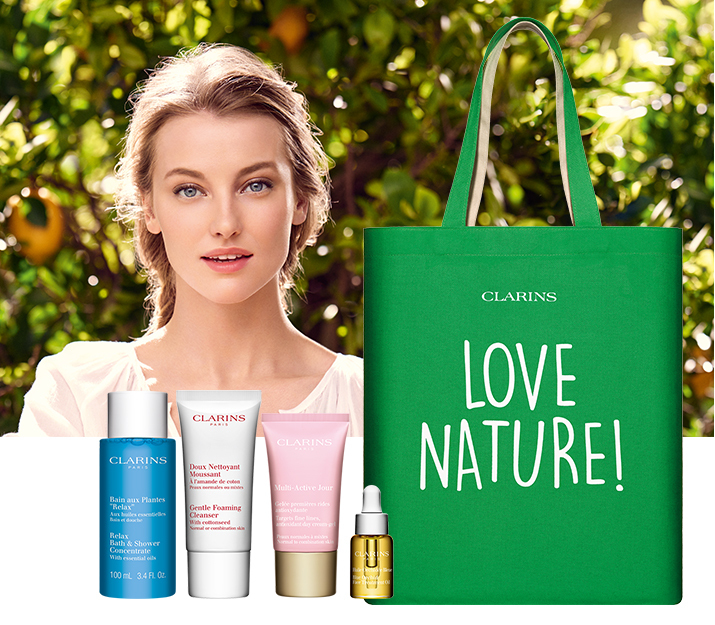 The value of Clarinsca.com e-Gift Certificate purchases are not used to determine promotional thresholds. Applicable purchase amount does not include shipping, handling or sales tax charges. Promotions may not be applied to past purchases. Any promotion will not be granted and may not be redeemed for a future purchase if the initial transaction is cancelled or item(s) are returned.